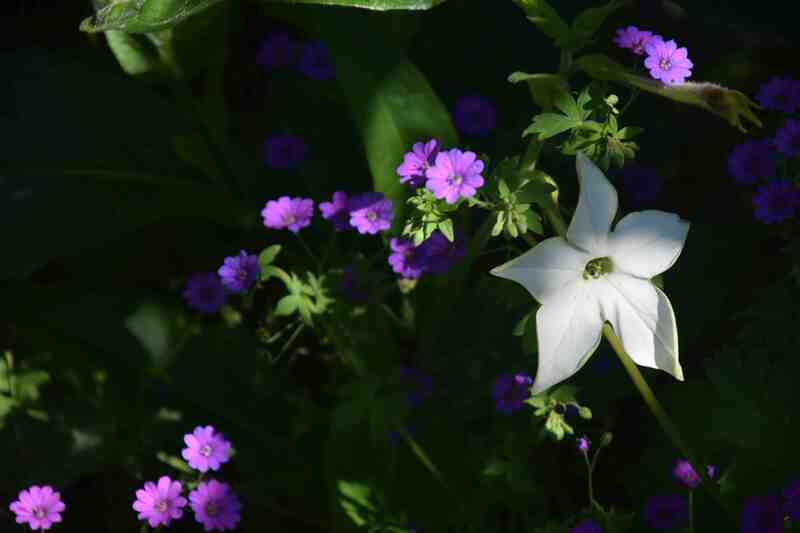 I have already posted about the scentless Nicotiana mutabilis. I often criticise the modern scentless hybrids so what was I doing growing that? Well it has other virtues, such as the variable flower colour and the statuesque habit. 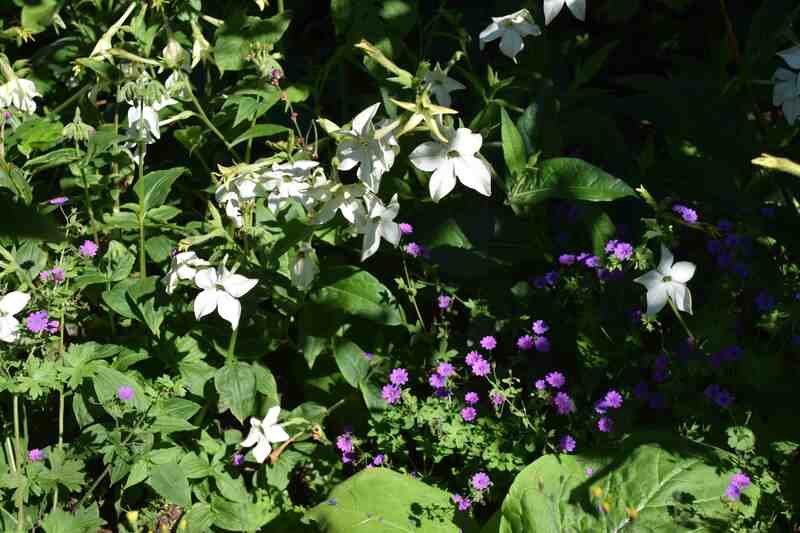 But I could not be without the scent of nicotiana and because I did not sow the tall N. sylvestris this year so I had to have something else instead. So the garden has several drifts of N. alata this year instead. Sometimes called the ‘winged tobacco’ because of the winged stems, or ‘jasmine tobacco’ because of the lovely scent, this is a wonderful plant from southern Brazil that is strictly perennial but easily grown as an annual. Like all nicotiana the seeds are small and are best sown on the surface of the compost. I sowed them in mid March and covered them with a light cover of perlite and transplanted the seedlings when they were big enough, into cell trays, keeping them free from frost. They were planted out in late May. Like most wild nicotiana, the flowers are at their best in the evening and the petals droop in sunny, warm weather. But they pick up in the cool of the evening and pump out their sweet fragrance. These are growing in a dappled shade position under an old bramley apple tree and I combined them with some seed-raised Geranium pyrenaicum ‘Bill Wallis’ and tall Persicaria orientalis. I have not grown the latter before and was not sure what it would do but it is towering over everything else at the moment with barely a flower in sight! I know it can reach 2m but the nicotiana can also reach 1.2m by the end of the season so this may be at its best in September. But, for now, the cool, lavender flower of the geranium, threading its way through everything else is a nice contrast to the nicotiana and they reward an evening stroll.